Buying a $10 wine can be a real gamble. There are plenty of good ones on the shelf, but there are some dogs, too. 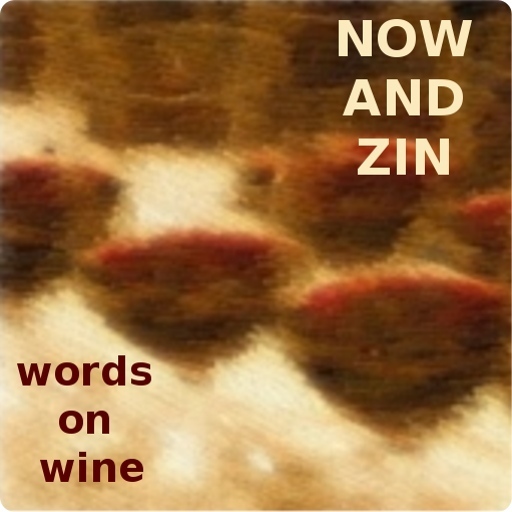 Zinfandels that thrill generally run a bit higher than a ten-spot, so my expectations were slim, hanging by the notion that an old vine Lodi Zin would save the day at that price point. 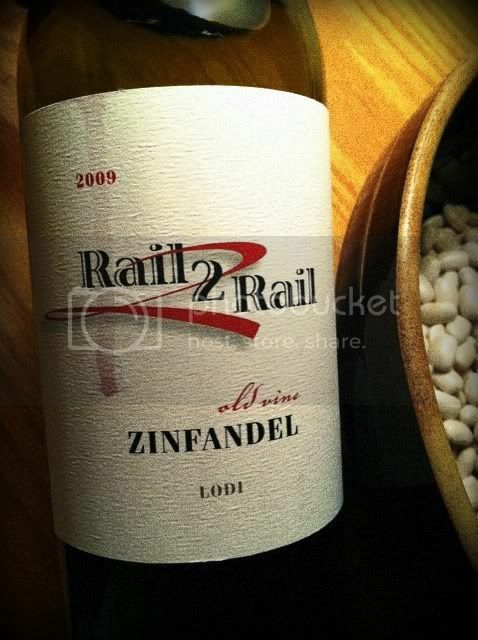 Rail2Rail Zinfandel is produced by the Laumann Family Estate Wines of Santa Cruz. This is one of three labels produced by Eric Laumann, the other two being Cambiata and Ludwig. I have tried Cambiata's Albarino before, and liked it. I also like the fact that Laumann trades in grapes you don't see very often in California, like Tannat and Dornfelder. The '08 vintage of the Zin won awards at a couple of competitions, so I was looking forward to this Zinfandel. The name, by the way, is taken from a surfing term which describes a "full commitment S-turn." A rail-to-rail turn is a showy move that sprays water everywhere. Along that line, the label promises a big wine, but one which keeps the tannins in check and balanced. The wine does come on big, with a 14.5% abv number. Most of that shows up on the nose when the bottle is first opened. The smell of alcohol nearly knocked me over on the first whiff. Big , bright cherry and blueberry aromas do manage to make their way through. Even on the third night the bottle was open it was alcohol-heavy. It also took on more of a candy-like appearance on the palate which I didn’t find too enjoyable. A brambly character that appeared saved it from despair, but just by a bit. It's a far cry from unpalatable, but I kept wishing more had been delivered. Rail2Rail is a $10 Zinfandel that, unfortunately, drinks like one.